Creative people tend to enjoy collecting inspirational quotes. Speak to many writers and you’ll find they have a collection of quotes ready to use, including plenty of quips about the writing life from famous authors. The collection and sharing of quotes is a big part of what makes Pinterest a thriving social media site today. Sharing quotes is such a popular thing to do that there are many blog engines such as WordPress or Tumblr that have a “quote” type of post page. Incidentally, if you do have quotes you want to share on your Pinterest boards, you’ll need to pretty them up some – Pinterest is a graphic-orientated place. Here’s an article at Mashable listing 8 Apps to Beautify Your Pinterest Quotes. 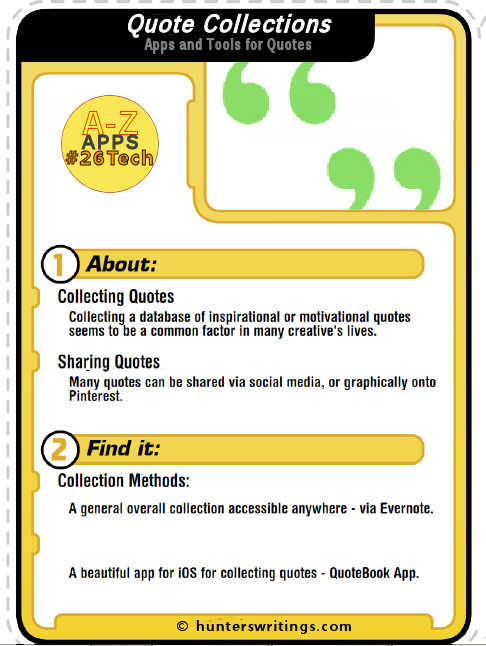 Whilst there are a large amount of quote apps available through the app-stores, you’ll probably find that these are generally an app put together with pre-populated databases of quotes on topics. Sometimes you’ll be lucky to find an app that allows you to add your own quotes, but for me – that feels like too much work. Instead, here are my own top ways of maintaining a quotes collection. Evernote’s Web Clipper functions, and apps like EverClip (which takes any clippings from any app open on my iPAD), are an easy answer to collecting quotes as I come across them – anywhere, on any device. If you are interested in seeing how Evernote can be used for collecting quotes see the supplementary post of today. QuoteBook is a recommended app on many lists.The app deserves it. Collecting quotes isn’t something that I do everyday, but when I need to, Quotebook works marvellously, and looks great. Copy any quote off the Safari iOS browser, open Quotebook and the app will detect the content in the clipboard, load the quote into the database and pick up author and source in the appropriate fields where it can. Then it’s simply a matter of tagging the quote with a category, giving the quote a rating, and saving. You can, of course, simply type in the quote into the appropriate fields. If you’re not sure about the quote, you can look up Authors on Wikipedia and WikiQuote, check the source is correct, and find other quotes by that author. QuoteBook has strong fast sharing capabilities – share to Twitter, Facebook, Email, SMS and Tumblr. Search by author, tag or source. And backup by exporting, using iCloud or emailing your quotes directly from the app. Memorable quotes shouldn’t just come from famous people or celebrities. Document your children’s funny quotes as they grow up in Posterity – an app for collecting your kid’s quotes. Use it for all your family and friends. Writing quotes can be found all over the web (and Pinterest boards), but here’s a good start – 72 of the Best Quotes about Writing (Writer’s Digest Online). 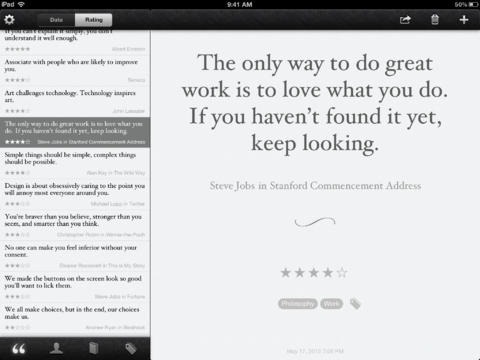 Quotes Folder is a similar iOS app to Quotebook in presentation. It recently went free for a day, although the quote app costs little anyway. This app comes with 15,000 pre-populated quotes to work your way through, but also allows you to input your own. #26Tech: This was the Q post for my A to Z challenge, where this blog will be posting 26 days worth of Tech posts relevant to writers and creatives. 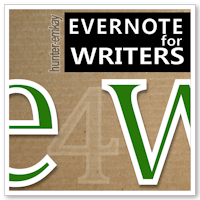 #Evernote4Writers: This post has a supplementary post on using Evernote to maintain a quotes and excerpts or citation collection. That’s great, Shanjeniah. There are many great android apps being developed also. And windows 8 (which I’ve so far avoided myself) brings a future of even more.